To be consistently rated by companies the best in the world for the quality of our training for Merchant Navy cadets and officers, and for professional development. We also made the case for strategic investment in skills for the long-term benefit of the UK. MSA response to the 'Maritime 2050' Call for Evidence. The MSA has responded to the Migration Advisory Committee’s “call for evidence” about the potential impact of Brexit on skills. 1. The extent of employment of EU27 nationals varies a good deal across the maritime sector, but is substantial in some parts. 2. For many maritime companies, particularly in the shipping sector, employment of non-EU labour is at least as important, and often more important, than employment of EU27 employees. 3. The superyacht sector’s main concern is about ensuring the continuing ability of British crew to win and retain work within the rest of the EU. Click the link for the full text of the MSA's evidence paper. Let’s not think in terms of modest incremental increases, but rise to the challenge of doubling the number of apprenticeships offered. I want the Board of every maritime business, whether they pay the Levy or not, to discuss how apprenticeships can help them succeed by growing the next generation of talent. The Minister was launching "Maritime Apprenticeships: your future, their future, our future", a booklet jointly published by the Department for Transport and industry lead body Maritime UK. Click here for the full Press Release - Apprenticeships booklet. Click here for the Apprenticeships booklet itself. The MSA has welcomed the Government's initiative and made a number of proposals in our response to its Industrial Strategy green paper. 1 The maritime sector offers excellent prospects for growth, so we are actively supporting the work which Maritime UK is leading to put together a Sector Deal for the maritime sector. 2 As one of the most international sectors in the economy, we will flourish best within a regulatory regime which recognises that reality, and which helps us to build on its strengths. In a modern economy “brightest and best” means much more than the academic elite, and the UK’s visa policy should reflect that. 3 We applaud the Government’s support for technical education, but with apprenticeship policy settling down at last we are anxious to avoid a further protracted period of disruption as technical education is reformed. 4 We very much value the maritime clusters round our shores, but we also want to make sure that where national arrangements make more sense, policy should allow for them. The full text is here: response to the Industrial Strategy green paper. We have been developing a new set of qualifications for tidal Inland Waterways which offer more steps towards BML Tier 1 Level 2 certification, and a higher qualification beyond it. We will not introduce these new qualifications unless operators want them, so we want to know your views. NB: This is NOT about the MCA changing the rules for the Boatmaster Licence: the MCA has no intention of doing that. Some time ago the MSA created a Diploma within our Maritime Studies Qualification suite which provides a structured route, approved by the MCA, for anyone who wants to gain the underpinning knowledge they need for BML Tier 1 Level 2 certification. The Diploma also forms the basis of the Government-funded apprenticeship. (The existing, experience-based, route to MCA certification remains; the Diploma route is an alternative). a worry that the Diploma is ‘only’ a Level 2 qualification. Though employer practice varies, that licence formally permits someone who holds it to be Master of a substantial passenger vessel, ie to have a position of real authority on the back of a Level 2 qualification. (The terms Award / Certificate / Diploma indicate the size of the qualification – how fat it is – not how difficult it is). Do you agree that we should replace the existing Diploma with the first three qualifications set out above? Do you agree that we should create the proposed new Level 3 Diploma (possibly with different content from that in the draft)? If you said ‘yes’ to Question 2, would your company use that qualification? Please e-mail your response to Iain Mackinnon at the MSA ([email protected]) by the end of 10th March. In our evidence we say that with the spotlight now very clearly on exports in the wake of the referendum to leave the EU, we think it would be right to add a recommendation around exporting our world-renowned expertise in maritime training. The MSA is concerned that the Government’s approach to the place of qualifications in apprenticeships risks confusing employers and disadvantaging apprentices. We therefore responded in detail to the draft Strategic Guidance published by the new Institute for Apprenticeships, which starts work in April as an arms-length body created by the Department for Education. The IfA proposed a number of “core principles”, one of which is that “an apprenticeship … is a recognised ‘accreditation’ ”. We commented that while we see the merit in the IfA’s ambition, we worry that it is premature to apply it quite so comprehensively at this early stage. The IfA risks confusing employers and disadvantaging apprentices whose ‘accreditation’ is still poorly understood in the labour market. Our full response is here: MSA response to the IfA's Strategic Guidance January 2017. 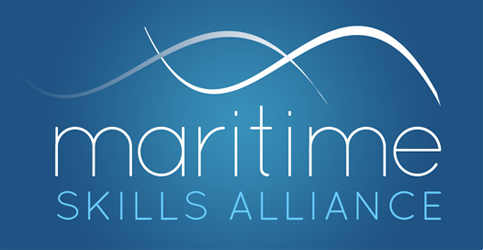 The MSA has welcomed the Maritime Growth Study with a Press Release pointing to the fact that nine of the 18 recommendations relate to skills and education. They were always in the brief, but Lord Mountevans has given skills much more prominence in the final report, and we are delighted to see it. We have also said that we are keen to use our expertise, reach and contacts to support next steps. Practically, arrangements should work every bit as smoothly as before, but if you have any questions or concerns please contact the Secretary to the MSA, Iain Mackinnon, on [email protected] or 0208 99 88 77 2. In its evidence to the Maritime Growth Strategy team the MSA has called on them to cast their net wider in defining the maritime sector. Drawing-on our own uniquely-wide coverage we think the scale of the maritime sector may be as much as a third bigger than the team has defined it, by limiting its definition to shipping, ports and maritime services. We also draw attention to the scale and significance of maritime training and education, and the value of protecting and developing the training sector. The MSA's response (4pp) is here. The marina and boatyard sector now has a nationally-recognised apprenticeship for the first time. The British Marine Federation, a longstanding member of the MSA, has been working with sector employers to design a new Diploma for the marina and boatyard sector, with an associated apprenticeship, and both have just won formal approval. BMF has worked with its members to develop a qualification which is suitable for those working in inland and coastal marinas as well as those working in standalone boatyards. Employees in this sector are responsible for the operation of complex machinery, ensuring that the logistics of the wider business work smoothly and for taking care of high value customer property. This includes the lifting of boats in and out of the water and transport to different parts of a yard, moving boats on the water, storing boats and ensuring that they are secured effectively. These staff provide an essential logistics function within a marina business. BMF offers a comprehensive marina-specific management programme, running from supervisory to certified status, and also offers entry-level licences, but there has been a gap for specific qualifications for operators within the industry. This new qualification, and the associated apprenticeship, close that gap.